Microarrays for simultaneous measurement of redundancy of RNA species are used in fundamental biology as well as in medical research. Statistically,a microarray may be considered as an observation of very high dimensionality equal to the number of expression levels measured on it. 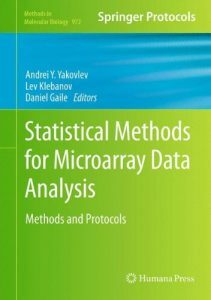 In Statistical Methods for Microarray Data Analysis: Methods and Protocols, expert researchers in the field detail many methods and techniques used to study microarrays, guiding the reader from microarray technology to statistical problems of specific multivariate data analysis. Written in the highly successful Methods in Molecular Biology™ series format, the chapters include the kind of detailed description and implementation advice that is crucial for getting optimal results in the laboratory. 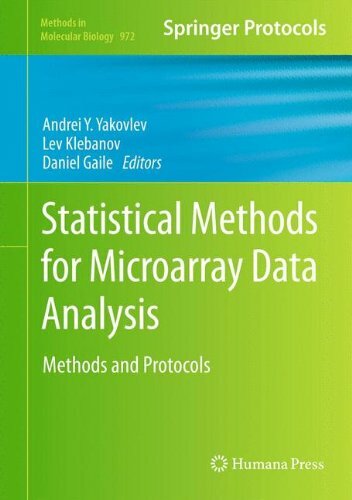 Thorough and intuitive, Statistical Methods for Microarray Data Analysis: Methods and Protocols aids scientists in continuing to study microarrays and the most current statistical methods.